First it was Adele, who sang the 2012's James Bond hit movie theme song, "Skyfall" from the James Bond movie of the same title starring Daniel Craig. Three years later, Daniel Craig is back in yet another James Bond movie franchise entitled, "Spectre" and this time, singer-songwriter Sam Smith is tasked to do a recording of the movie's theme song, "Writing's On The Wall". *Hear once again Adele's "Skyfall" here. 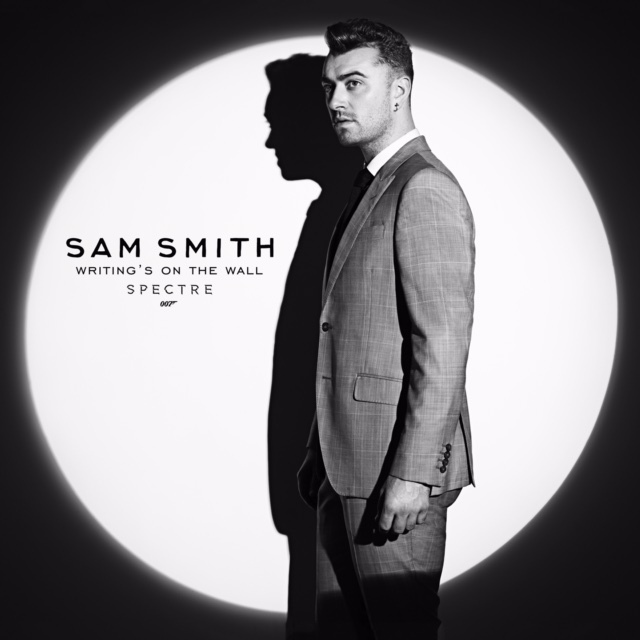 Just recently, Albert R. Broccoli’s EON Productions, Metro-Goldwyn-Mayer Studios, and Sony Pictures Entertainment has confirmed the participation of pop-ballad singer, Sam Smith in the upcoming James Bond movie franchise "Spectre", which he recorded “Writing's On The Wall,” the official movie theme song to the 24th James Bond adventure. The movie "Spectre" is scheduled to be released in the United Kingdom on October 26, 2015 and in the US (and the Philippines) on November 6, 2015. Meanwhile, the "Writing's On The Wall" song, which will be released by Capitol Records, will debut and be available for purchase and stream online starting September 25, 2015. It was reported that the multi-platinum artist Sam Smith has co-written the title song, “Writing’s On The Wall,” with fellow GRAMMY® Award winner Jimmy Napes. It is the first James Bond theme song recorded by a British male solo artist since 1965, where most singers who have rendered the James Bond franchise movie theme songs were sang by a female artist. Some of the best-loved James Bond movie theme songs are "Diamonds Are Forever", "Goldfinger", "Tomorrow Never Dies", "Die Another Day", and "Skyfall". Opening across the Philippines on November 06, 2015, “Spectre” will be distributed by Columbia Pictures, local office of Sony Pictures Releasing International. "Writing's On The Wall" will be available for listening starting September 25, 2015. Stay tune here on MovieNews.Me for the update on this movie theme song.